Introducing the quickest and easiest way to check the authenticity of a UK, EU and International driving licence, CPC & Tacho Card. 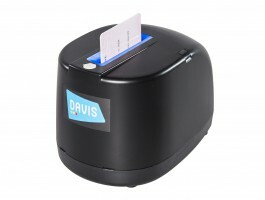 DAVIS CDR is an innovative compact counter top device which scans ID1 cards in seconds. DAVIS CDR scans both sides of the card and validates licence security features and layouts. Essential driver information is instantly captured and uploaded into an individual driver record. Ideal for organisations carrying our multiple driver checks. How will it improve efficiency?